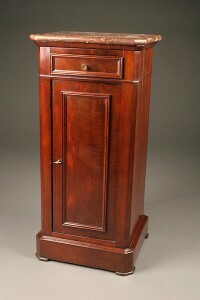 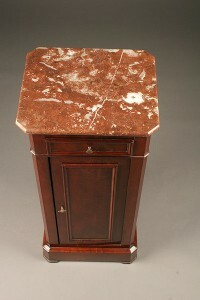 Louis XV style Italian bombe commode with inset glass top.Louis XV style Italian bombe commode with inset glass top. 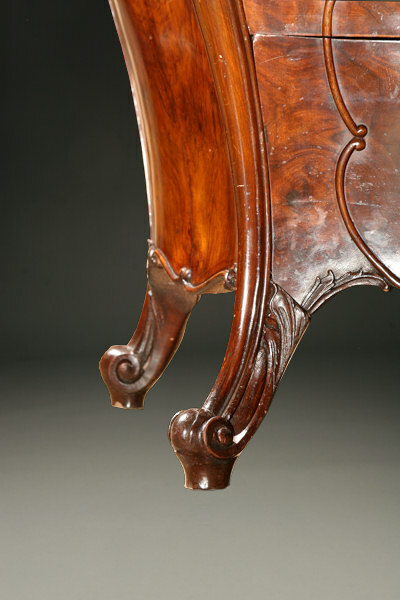 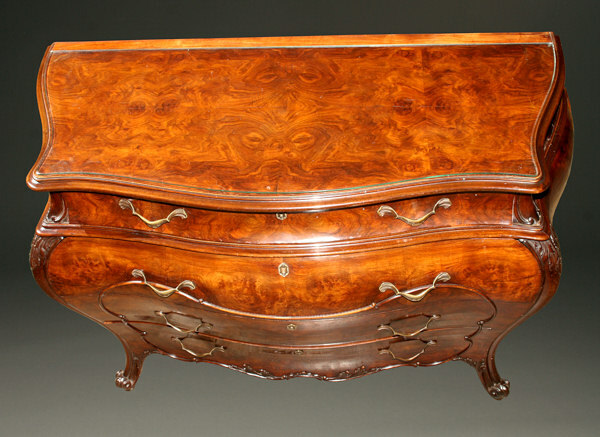 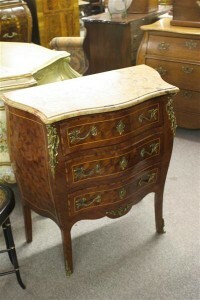 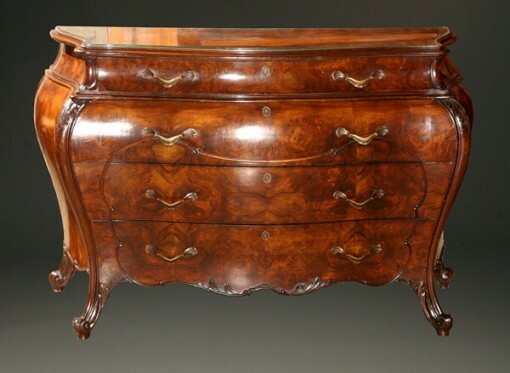 19th century French commode with marble top. 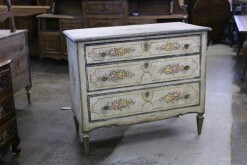 19th century French Liege carved commode with marble top. 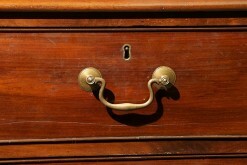 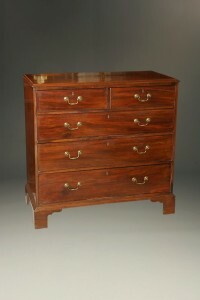 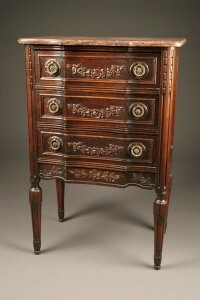 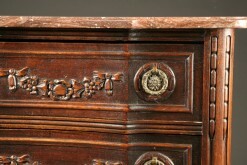 Late 18th century English bracket foot Chippendale style chest.